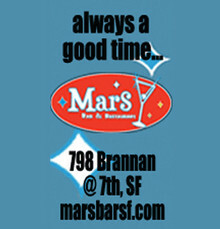 Mars Bar is the cozy south of market oasis now open 7 days a week where you can sit and enjoy the sunshine on their (heated!) 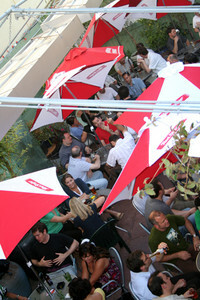 outdoor garden patio or cozy up inside with the bartenders. Order great burgers and fresh salads for lunch or weekday happy hour and solid cocktails and frosty pints of beer. Speed Dating (Ages 26-38) | Saturday Night | San Francisco | Let's Get Cheeky! Saturday Night Speed Dating | San Francisco Singles Events | Seen on NBC & BravoTV!